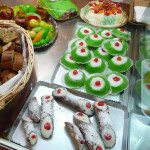 Palermo is quite a unique and extravagant city in terms of food. You will soon realise that you can’t go down any street in the city centre without being tempted by the delicious scents and by the calls from the venders themselves. You’ll just have to resist the temptation if you want to get to one of the restaurants suggested to you in the paragraph on “where to eat.” You’d better not be full before you get to them!!! 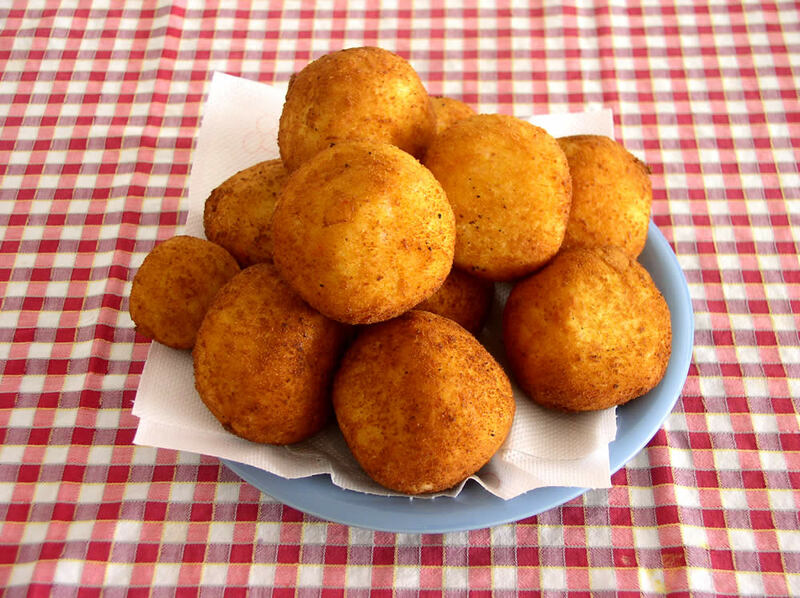 Arancine = these are small balls filled with rice and then fried. 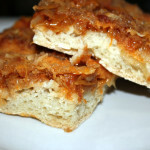 They are about 8-10 cm big, stuffed with mincemeat (ragù) and sometimes tomato sauce, mozzarella, peas and so on. The name derives from oranges due to their shape and colour. 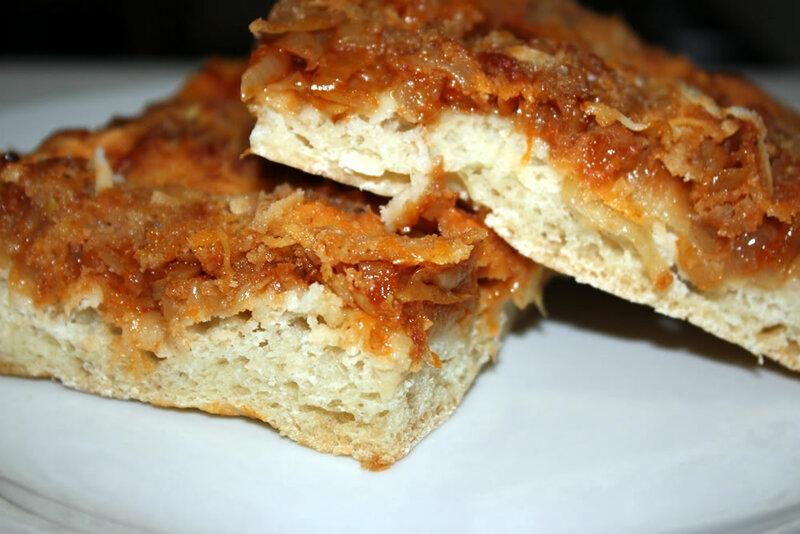 Sfincioni = these are thick, soft pizzas with a very strong scent made with sauce, cheese, olive oil and anchovies. 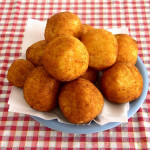 Even here the vendors go around on small scooters yelling in Sicilian dialect into a megaphone: ““chi ciavuru u’sfinciuni.. uora u sfuinnavu..uora” (what a beautiful smell these “sfincione” have, they’ve just been baked). Pani ca’ meusa = (bread with cow spleen) this was spread in Palermo in the post war period given the economic constraints but today it’s highly sought after especially the “maritatu” type which is made with ricotta. What makes this particular recipe so good is the contrasting flavors of the sweet ricotta and the savory cow spleen… a real explosion of taste in your mouth. 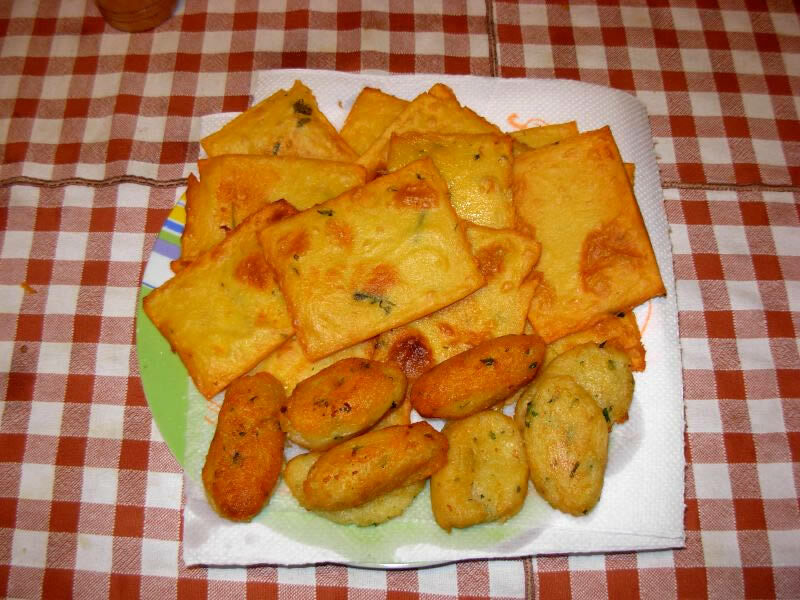 Panelle e Crocchè = these are another gluttonous sin but cheap at the same time, especially if you get offered one on the street. 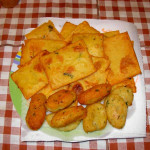 Panelle are fried in a flour and chickpea base and crocchè in potatoes and parsley. Among the people of Palermo, the habit of standing whilst eating on the street is very common. “Stigghiola” are char grilled entrails seasoned with salt and lemon and then there are “Polpo a scottadito” which are boiled and eaten when still hot. In terms of typical first courses, I’d recommend the “pasta con le sarde” (sardines, breadcrumbs, pine nuts, wild fennel and extra virgin olive oil) and the “pasta alla norma” (sauce, eggplant, basil and salted ricotta). 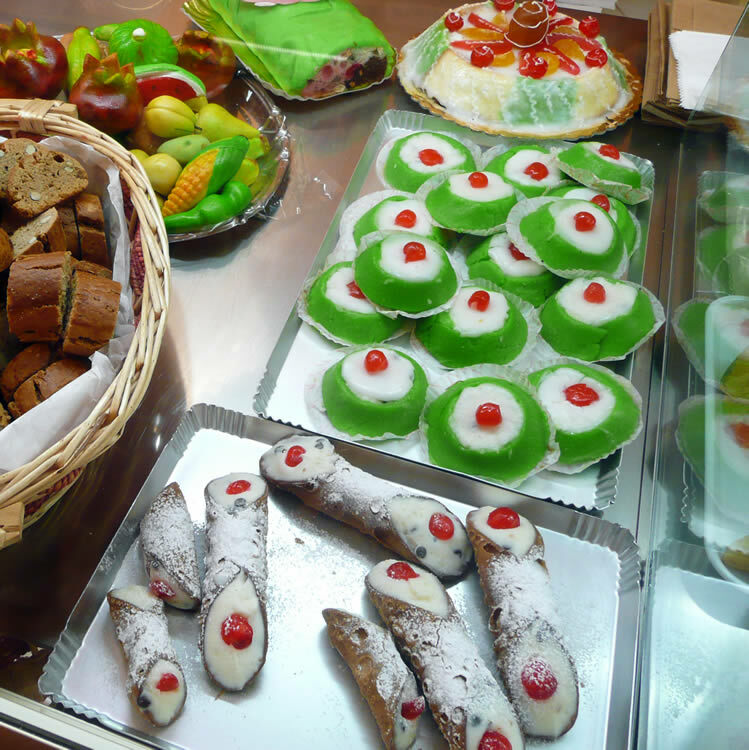 However, it’s actually the sweets department that differentiates Palermo’s cuisine from other types, especially sweets made with ricotta like Cannoli or Cassata Siciliana, which I’m sure, everybody has heard of. Just as tasty are the sweets made with almonds, like the delicious “frutta di martorana” or “parfait di mandorle,” served with a drop of hot chocolate, or even the torta setteveli, six layers of chocolate spread over seven wafer like biscuits. A true delight for the taste buds!